There are alot of names to our “beautiful game” which is unversaly known as football and some likes to call it with other names like Soccer, Futob or Fußball but whatever the name you use the game itself has a long and illustrious history. 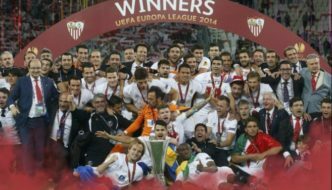 Today Manchester United, Real Madrid and Barcelona are three of the most richest sports teams in the world but we are not going to talk about present football or the future, we are going to take a look at 10 of the oldest professional football clubs which are officially accepted in record books. All the first 10 clubs were from England. Football was a quite popular sport in the mid 1800’s and although there were no set of rules so everybody was playing their own way. So in 1863 a organization was formed with official set of rules and it was called “Football Accosiation”. That led to the road of establishing professional clubs around england who took football to next level. 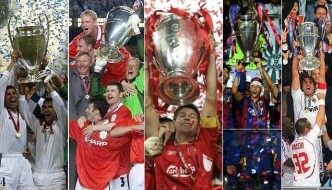 Here are ten of the oldest clubs and they are happen to be from England. The first recorded professional football club was Sheffield back in 1857 and the club played a big role in revolutionizing and make football a global sport. Shffield Football Club was formed in england industrial area when the industry was booming and it gave the chance for factory workers to play some form of sport on the weekend. 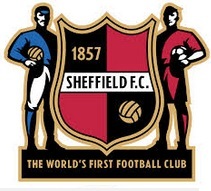 Sheffield FC were the founding memebers of first football governing body in 1863 when Football Association was established. Hallam was established in the same industrial city of england “Sheffield” just 3 years after Sheffield FC register themselves. 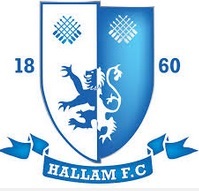 So the great rivalry was born and Hallam won their first professional silverware when the won the Youdan Cup. 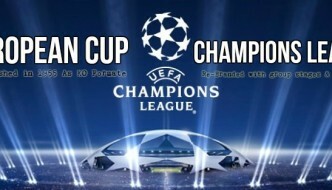 which is believed to be the first ever organized tournament of football. 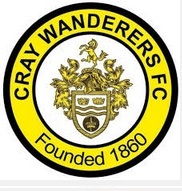 the first club to be register in south of England (around London) was Cray Wanderers. The club was formed by the workers of local railway of kent. So Cray Wanderers played a major role in developing football in southern England but they never became a top level club after a decent start in the 20th century. Currently they are playing their football in 7th tie of English football league system and barely maintain their semi-pro status. Club wants us to beleive that they were formed in 1859 but FA dont accept their claim as the oldest documents states they FC Wanderers were establish in 1860 in south of England in Battersea and became the first club to win the FA Cup. They also dominated English football specially FA Cup by winning it further three times in 70’s (1873, 76, 77 & 78). In the early days only the players who were ex students of prestigious Harrow school were able to play for the club but later on it evolved represented their region. Woksop Town FC was formed in Nottinghamsire back in 1861 and played a major role on developing the game in norther areas. But just like Hallam FC they never got themselves to next level and always been languishing in the non-league football and currently playing their trade in the 6th tie of english football. Notts County FC has the honor of being the first professional football club in England and they played a huge role in advancment of the game late 19th century. They were one of the 12 founding memebers of Football League system in 1888 and their biggest achievements has been beating Bolton Wanderers in the FA Cup final in 1894. They are one of the few oldest football clubs to be still playing professional league in England and in recent years they have gone through quite a few changes. Most of your will know Stoke City who are currently playing in Premier League and keeping the english football tradition in good shape. 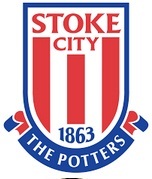 Stoke City were founded 1863 and they alonside Notts County were part of 12 founding members of League System in England. Stoke City had their hay days in 1920’s and 30s but club struggled in lower leagues post world war era but in the last decade club has turned things around and made it to the english top flight. Briggs Town FC was formed in 1864 but like most of the clubs in the list they never really made it to the top in english league system. Currently they are playing in 8th tie of of english football and it will take 7 consecutive promotions for them to get into top flight which looking at he stat of english football is a long long shot. Nottingham Forest Football Club was formed in 1864 and they are one of the most successful clubs from the above list. Nottingham Forest enjoyed success in patches of clubs history, won their first FA Cup in 1898 beating local rivals Derby County in the final but after some dizzy spells in lower leagues they made it to the top flight in 1950’s winning another FA Cup and the Division 1 title which was followed another 20 years out of top flight and a return in mid 70’s under legendary manager Brian Clough who led the club to two European Titles and 1 league title alongside another FA Cup and 4 league cups. Shffield Wednesday was established back in 1867 and intially were not part of the football league system but the eventualy joined in 1892 and became one of the most successful clubs in early history of Professional English Football. They have won 4 division 1 titles, 3 FA Cups and couple of league cups but the biggest achievments was them spending around 66 years in top flight football out of the 110 odds years of english league system. There is no evidence of a Stoke Ramblers club before 1867 from which Stoke City claim to come from as for Wrexham evidence needs to be seen before plucking out figures from the air in a Stoke City type of way. Even Notts County officially founded in 1864 are two years older now! No. Melbourne FC is an Australian rules football club. These are association football clubs. Edinburgh fc dated back to the 1820s. Kinda refutes the fa’s history eh? Preston have the honour of being the very first champions in the original season of the Football League in 1888, as well as being the first club to achieve the League and Cup double. 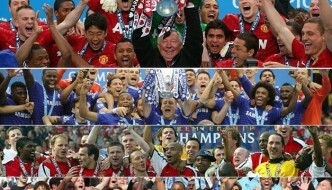 They also hold the record, alongside Arsenal, for achieving an entire season unbeaten. The Geelong Football Club and the Melbourne Football club were formed in 1859.